FOR IMMEDIATE RELEASE December 12, 2012 - The product in question is a single production run and packed in a 7.5 ounce paw print bag marked with a best by date of 08-2015. The best by date can be found on the ingredient label on the back of the package just above the UPC bar code. The UPC for the Blueberry Hound Cake is: 692614010058; The UPC for the Holiday Hound Cake is: 692614010041. The recall applies to 7.5 oz. 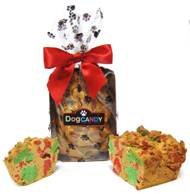 bags of DogCandy® Holiday Hound Cake and Blueberry Hound Cake because the cakes have the potential to become moldy. These cakes were manufactured specifically for PetSmart Corporation and distributed to approximately 130 PetSmart stores in 36 states. No other products have been impacted. Mold was found on several cakes after they were delivered to the stores. Under investigation the company discovered that the cakes contained higher moisture content due to the product being packaged while still warm. The company has taken every precaution and implemented new additional procedures to correct the issue. Claudia’s Canine Cuisine® has not received any reports of illness associated with the affected product. 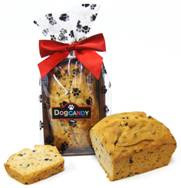 If you purchased one of these cakes, please return it to your nearest PetSmart store for a full refund or send to Claudia's Canine Cuisine® 100 Four Paws Lane, Maumelle, Arkansas 72113 and indicate if you want a refund or a replacement product. All shipping fees will also be reimbursed.